Successful development of an E-classroom management system for our client Perspectives. It is a .NET based solution to create an administrative interface to the user to administer data currently stored in a web based Fund Raising and Donor Management System as well as in MS Excel based sheets. Perspectives conducts study programs across the United States on specialised topics. A web based Fund Raising and Donor Management System (FRDMS) is used to create schedules, register students and trainers. This is used in conjunction with the client’s website, which advertises courses and allows students to find classes and register for them, and with external databases and spreadsheets that record data on attendance, fees, and student performance. After assessing the client’s problems, Insight came to a conclusion that an Online (web based) system can efficiently serve its users. 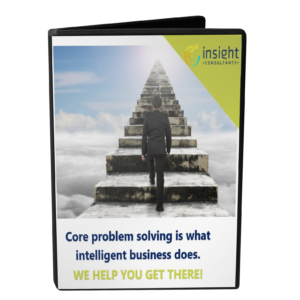 Insight Consultants designed an E-classroom management system, which includes a complex administrative interface using ASP.NET and MSSQL (Linq) and a new external database that connects to the FRDMS using MS SQL. The admin interface then connected the data in the FRDMS database with the data in the external database.We replaced the external databases and spreadsheets, and to integrate it with the donor management system and the client’s website. Perspectives is a portal that has been designed to help the administrators in managing everything that is related to the course that is conducted in the United states and in other parts of the world.The portal is designed to facilitate everything from creating the same class online, scheduling the weekly events, assigning instructors to the class. The portal allows students to register online to these classes easily instead of going physically to the places and registering themselves. It also allows them to make payments as per their comfort, i.e, they can pay the registration fees partially or fully. The portal is a charity based organisation and hence it allows any person to make donations to the classes they are interested to donate to. The portal keeps a track of all the financial transactions related to the class i.e, from the registrations, donations to whatever expense happens in the classes conducted.The attendance and grades of the students to each session of the class is maintained in the site by the related faculty. Recently, the online Haiku class automation was integrated into the site. Whenever a class is created in the site, the same class would be created online in Haiku. Students and the rest of the team in these classes are added to Haiku and all the grades as well are integrated into Haiku. The immediate benefits of this E-Classroom Management Portal is administrative efficiency and cost efficiency.